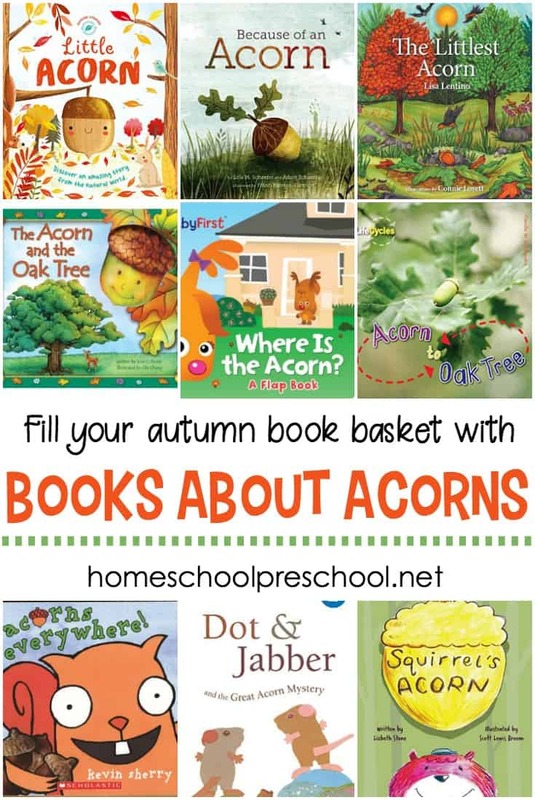 Teach your kids about acorns and oak trees this fall with this great collection of acorn books for kids. They’re perfect for your fall book baskets. I love when the leaves begin to change. I know that also means we can take a nature walk to look for and collect oak trees. 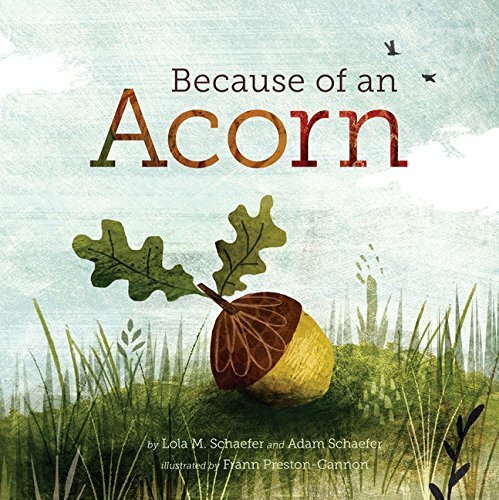 Kids will be amazed when they learn that acorns are actually the seeds that grow oak trees. 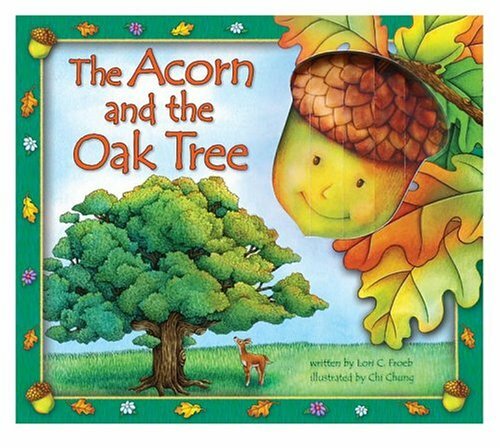 Teach them about acorns and oak trees with this great collection of board books and picture books that are perfect for your autumn reads. 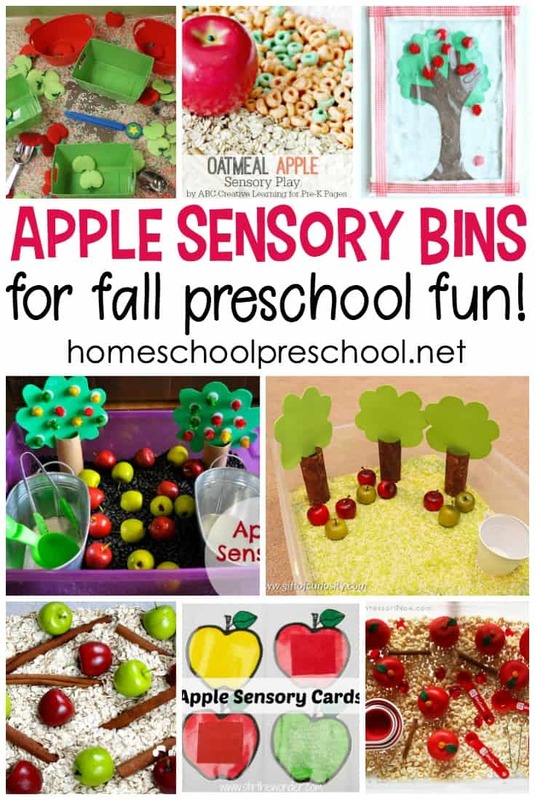 Fill your book basket with these fun acorn books for preschoolers! Most of these books can be found at your library or used bookstore. If you have a hard time finding them, you can order the books from Amazon by clicking the images or links below. Acorns Everywhere! – Bonk! When an acorn hits him on the head, a chubby squirrel takes stock. And what does he see? 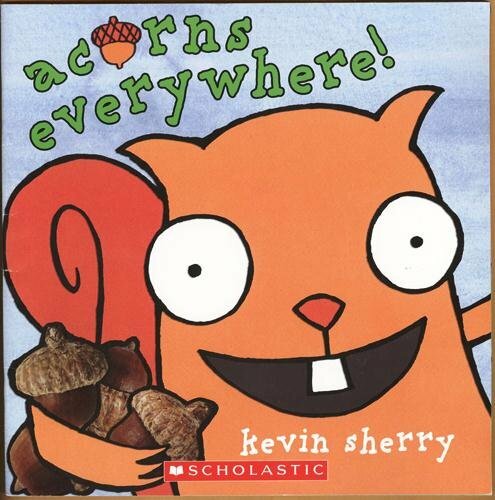 ACORNS EVERYWHERE! With a jolt of hilarious manic energy, he gets to work-Gather! Dig! Bury! 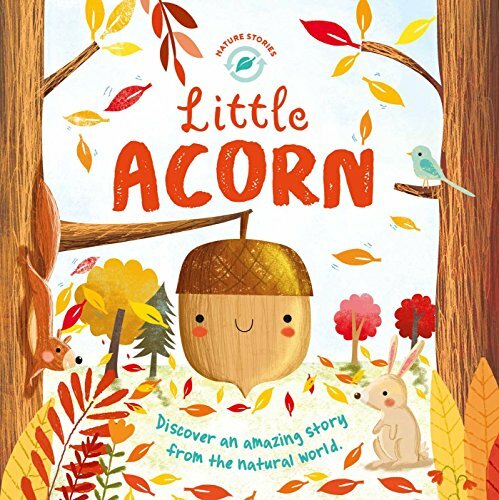 Little Acorn Grows Up – Little Acorn proves that great things come in small packages as it grows from a tiny nut to a big tree that shelters its forest friends. 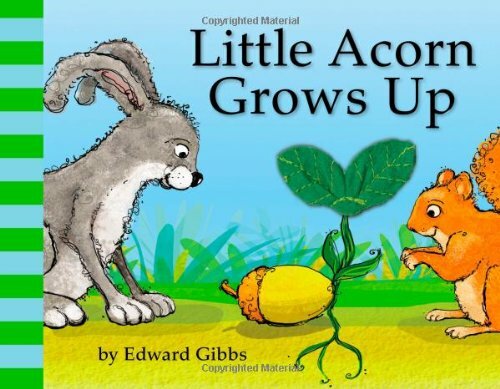 The Littlest Acorn – The littlest acorn wants to grow big and strong. 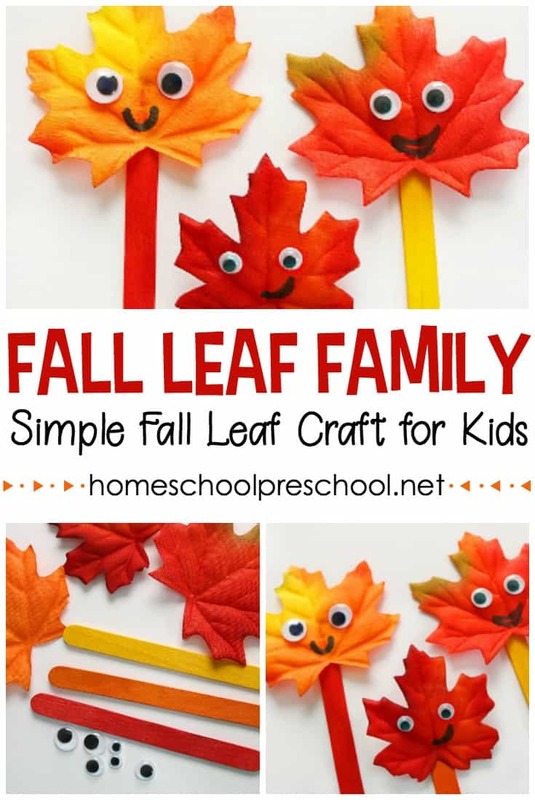 As a sapling, she notices tall pines and colorful maples nearby. In comparing herself to them, her self-esteem withers, and she loses her zest for life. It takes a little bird building a nest to show the little oak tree the true value of her shape, color, size and spirit. 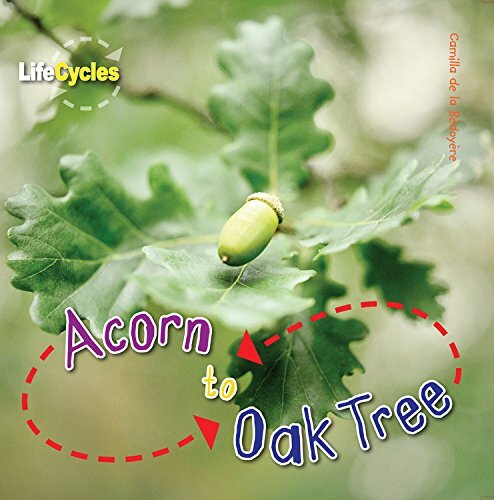 Acorn to Oak Tree – Packed with fascinating facts about life cycles, amazing photographs of every stage, and labelled diagrams to explain growth and development. 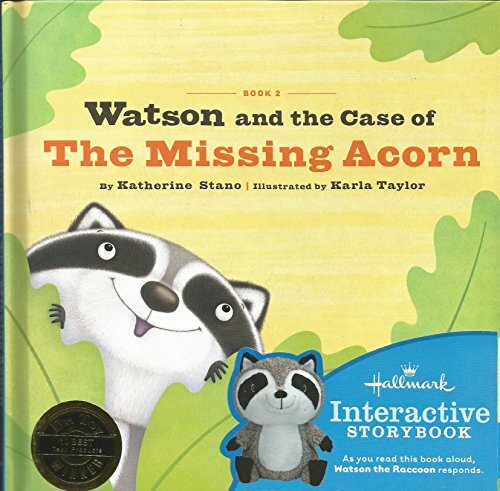 Watson and the Case of the Missing Acorn – As you read the story, Watson, the reading buddy, will respond to each page. 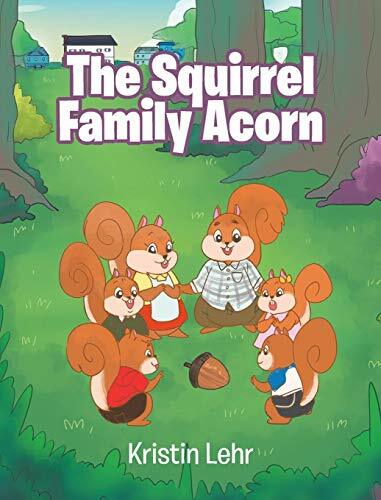 The Squirrel Family Acorn – Beginning with a simple acorn, a beautiful story unfolds into the wonder of all God has made. 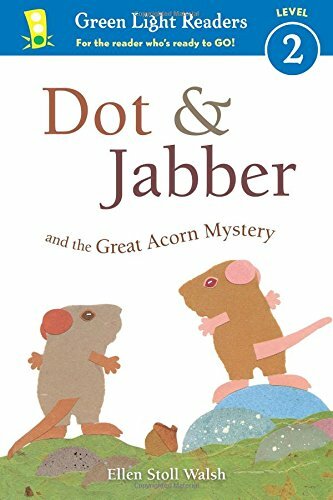 Dot and Jabber and the Great Acorn Mystery – Dot and Jabber are mouse detectives with case to crack—if Jabber doesn’t eat the clues first! They’re determined to find out how a little oak tree grew in their field when there are no other oak trees around. They know it grew from an acorn, but how did the acorn get there? Squirrel’s Acorn – Winter is coming and all the squirrels are hurriedly gathering acorns, all but one squirrel! This squirrel only wants the best acorn in the forest–the one hanging from the highest branch of the tallest tree! This squirrel will not compromise. This squirrel does not want quantity. Fear will not change his mind…boredom will not change his plan…squirrel pressure won’t keep him from being patient! 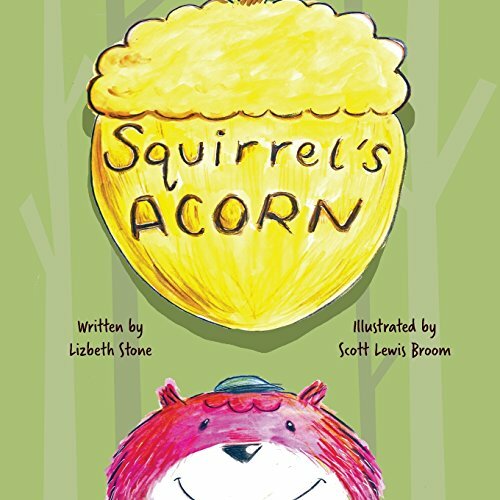 This humorous fall tale leaves you cheering for one very patient squirrel who teaches us the nobility of waiting for one’s prized acorn! 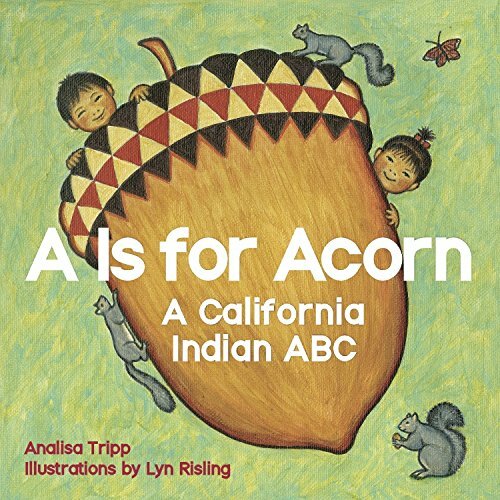 A is for Acorn – This alphabet board book welcomes youngsters of all cultures into the abundant world of Native California. Beautiful illustrations of animals, plants, and cultural objects show off the spectacular diversity of California’s indigenous cultures and environments. 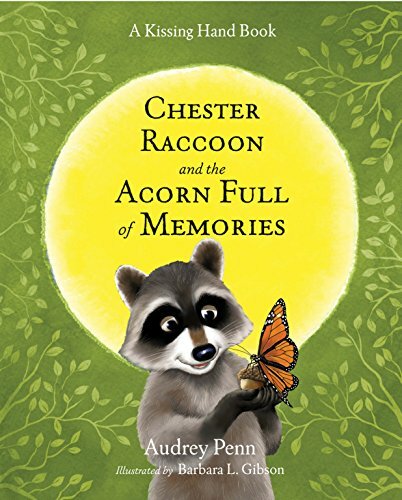 Chester Raccoon and the Acorn Full of Memories – Chester Raccoon’s good friend Skiddel Squirrel has had an accident and will not be returning – ever. Chester is upset that he won’t get to play with his friend anymore. Mrs. Raccoon suggests that Chester and his friends create some memories of Skiddel, so that they will have good memories when they miss him. Chester, his brother Ronny, and their friends decide to gather at the pond, where they combine their memories and create a touching celebration of their friend’s life. From Acorn to Oak Tree – How does a little acorn grow into a huge oak tree? 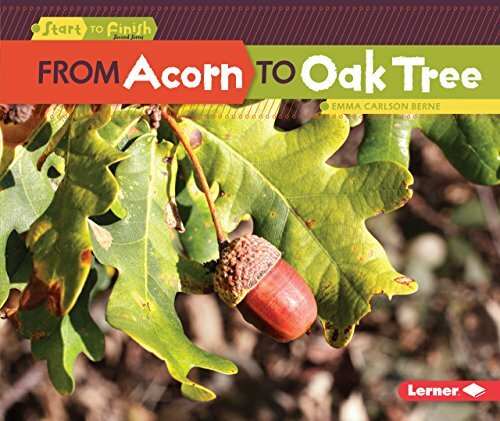 Follow each step in nature’s cyclefrom falling acorns to strong oak treesin this fascinating book! Because of an Acorn – Because of an acorn, a tree grows, a bird nests, a seed becomes a flower. Enchanting die-cuts illustrate the vital connections between the layers of an ecosystem in this magical book. Wander down the forest path to learn how every tree, flower, plant, and animal connect to one another in spiraling circles of life. An acorn is just the beginning. 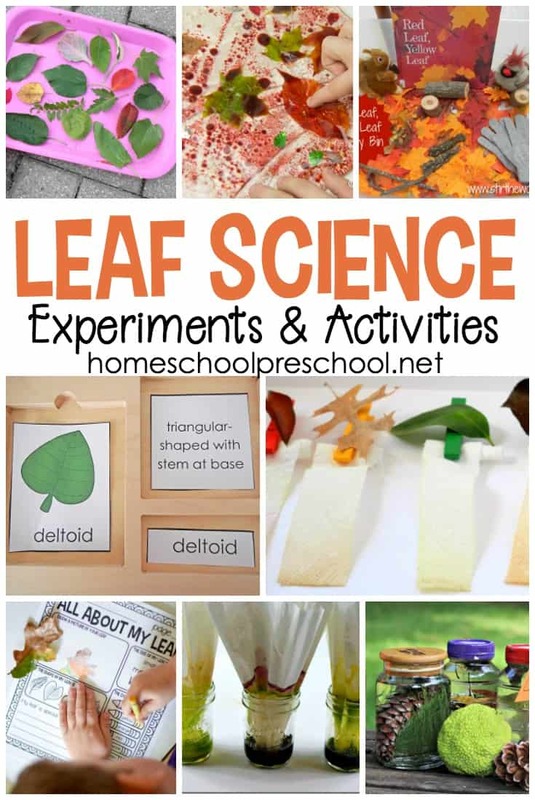 The Acorn and the Oak Tree – Preschoolers can delight in nature’s wonder as an acorn settles into the soil, becomes a sapling, faces the hard changes of the seasons, and then, as the years pass, grows to be the proud oak it was destined to be. 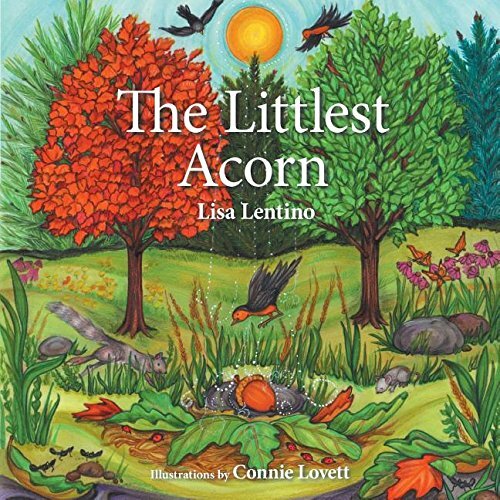 Little Acorn – Have you ever wondered what happens when a little acorn becomes a big oak tree? This beautifully illustrated story will delight children and parents alike, and also offers a perfect introduction to the life cycle of trees. 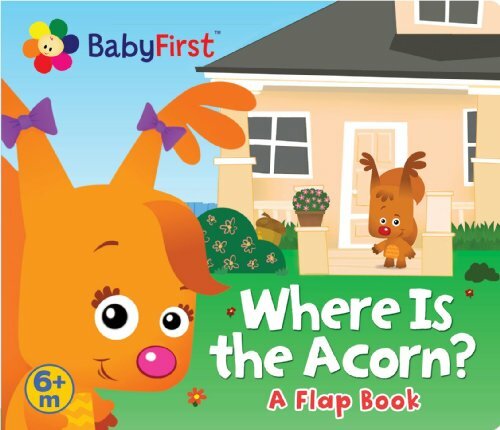 Which of these wonderful acorn books will you read first?